Click here for the latest episodes of "WisBusiness: The Show," which include a rising-and-falling stock report on Wisconsin business, commentary and an interview with a state business leader. Produced by Tweedee Productions and sponsored by BMO Harris Bank, Whyte Hirschboeck Dudek, UW-Milwaukee and Madison Gas & Electric. The Entrepreneurs' Toolkit, a soup-to-nuts guide for Wisconsin entrepreneurs, is available at www.WItoolkit.com and through the Wisconsin Technology Council website. It was launched in April and is designed to give innovators a pathway to resources available in the state and beyond. Those resources include information on business assistance programs, sources of financing, permits and regulations, how to choose a business structure, how to write a business plan and more. Have program ideas for your regional WIN chapter? Click here to read more about member benefits and join today! Interested in sponsoring a WIN event? Finding the right talent is essential to today’s companies. A new resource available through the Tech Council is our Jobs Board, where you may post your resume on a secure site available for inspection by our board members and corporate members of WIN, WAN and WSRC. Read on or click here to learn more. Also, interns are available for work at selected companies this fall through a senior-level course I teach at the UW-Madison Department of Life Sciences Communication. Click here to learn more. Human capital is an important part of the success equation for emerging and mature companies. Speakers with hands-on knowledge will discuss the science and technology research gaps within the Departments of Defense, Homeland Security and Energy during the seventh annual “Resource Rendezvous” to be held Sept. 19 at the Union Ballroom on the UW-Milwaukee campus. Scheduled speakers so far include Dr. Robert Drury, William S. Middleton Memorial Veterans Hospital; Kenneth Forsell, DRS Technologies Inc.; Robert Hathaway, Oshkosh Corp.; and Retired Lt. Col. Rock Marcone, General Dynamics Land Systems Maneuver Collaboration Center. Early stage companies can apply to present their research and product development ideas to science and technology directors during the event. For information on the application process and eligibility, click here. The deadline is 12 p.m. Aug. 30. Visit the event website for additional details on fees, the agenda, sessions and the host location. Looking for job opportunities? Want to upload your resume? Create an Applicant Account and get connected to many of the key players in Wisconsin's business community. Have a job opening to post? Looking for strong candidates? 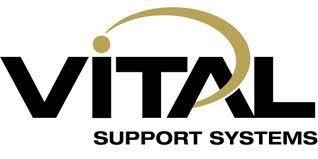 Create a Member Account and gain access to the secure applicant database. This resource is restricted to corporate members of the Wisconsin Innovation Network, the Wisconsin Angel Network and the Wisconsin Security Research Consortium. Get started here! Questions? Email Joy Sawatzki or call 608-442-7557. Research related to autism, Down Syndrome, Fragile X syndrome and other neurodegenerative conditions affecting children and adults will be discussed by key researchers at the UW-Madison’s Waisman Center at the Aug. 27 meeting of the Wisconsin Innovation Network at the Sheraton Hotel in Madison. 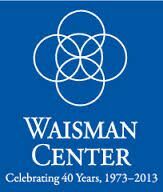 Presenters will include Marsha Malick, director of the Waisman Center; Anita Bhattacharyya, senior scientist focused on Down Syndrome and Fragile X syndrome; and Maureen Durkin, an epidemiologist whose work centers on the study of neo-natal and childhood injuries. For more info and to register, click here. UW-Madison Chancellor Rebecca Blank will speak at the Sept. 24 luncheon meeting of the Wisconsin Innovation Network in Madison. Blank is an economist who most recently served as the Acting Secretary of the U.S. Department of Commerce. 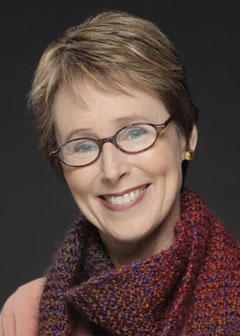 She has also advised presidents from both political parties, serving as a member of the President’s Council of Economic Advisers first for George H.W. Bush and later for Bill Clinton. For more information and to register for the event, click here. A forum for early stage investors will be held Tuesday, Sept. 10, at American Family Insurance Co. in Madison. Chicago investor Robert Okabe, president of the Angel Resource Institute, will speak on trends in raising early stage capital. Other speakers will address best practices and policy isses at the state and federal level. Attendance will be limited to investors; more information is available through Dan Blake, director, Wisconsin Angel Network, at dblake@wisconsinangelnetwork.com. Read more about the event in the 30Forward blog. Entrepreneur and investor Toni Sikes has been elected chairwoman of the Wisconsin Technology Council, a post she will assume at the Tech Council’s October board of directors meeting at Plexus in Neenah. Read more here. In late July, finalists and sponsors from the 2013 Wisconsin Governor's Business Plan Contest were joined by State Reps. Mike Kuglitsch and Fred Clark, as well as WEDC CEO Reed Hall, at the Executive Residence in Maple Bluff. The event gave the dignitaries an opportunity to congratulate the finalists on their success and reiterate the importance of their entrepreneurial efforts to Wisconsin's economic growth. 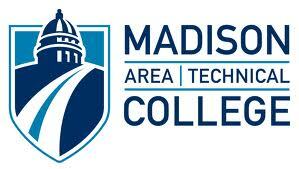 Thanks to Cresa Madison, Whyte Hirschboeck Dudek and the Wisconsin Growth Capital Coalition for sponsoring the event. And thanks again to the contest sponsors, who made the more than $150,000 prize package available! The 2014 BPC will kick off in late November, with the Phase 1 entry deadline on Jan. 31, 2014. Save the date for the 2013 Wis. Early Stage Symposium! The 2013 Wisconsin Early Stage Symposium will be held Nov. 5-6 at the Monona Terrace Community & Convention Center in Madison. Once again, the symposium will feature nationally known speakers, panel discussions, company presentations to angel and venture investors, the annual “Elevator Pitch Olympics,” the SBIR/STTR awards ceremony, an exhibit hall featuring innovative companies from around the state, an opening night reception and other networking events. Watch for more information in the coming weeks, including details on the application process for company presentations. Online registration will open in early September. Hope to see you this fall! A forum on federal immigration reform will be held from 1 p.m. to 3 p.m. Wednesday, Aug. 14, at the UW Center for Civic Engagement, 518 S. 7th Ave., Wausau, on the UW-Marathon campus. 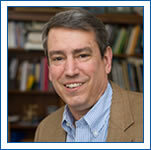 Tom Still, president of the Wisconsin Technology Council, will be among the panelists. To attend, respond to mmwisconsinbbb2013@gmail.com. The forum is hosted by FWD.us, a coalition of tech-based companies, and Bibles, Badges and Business. The UW–Madison's second annual Corporate Open House, where companies are invited to campus to learn more about innovative opportunities for research, projects, talent, training and potential partnerships, will be held Aug. 22 at the Union South. The event is co-sponsored by the UW–Madison Office of Corporate Relations and the University of Wisconsin Foundation, Corporate and Foundation Relations. Find more information here. Please watch these latest editions of "WisBusiness: The Show," the twice-a-month Web show covering state business news and issues. Watch for the 100th episode coming soon! 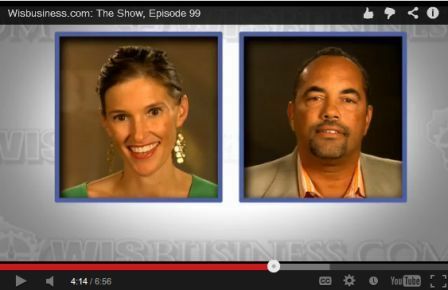 On the latest episode of “WisBusiness.com: The Show,” Liz Schrum speaks with Pepi Randolph of the Potawatomi Business Development Corp. about a new high-end data center being built in Milwaukee; Tom Still explains Wisconsin's continuing journey out of the recession; and the WisBusiness.com Stock Report for early August 2013 looks at the Madison-based company Stratatech. Click here to view the biweekly show, produced by Tweedee Productions for the Wisconsin Technology Council and WisBusiness.com, as well as our archives of past shows. The show is sponsored by BMO Harris Bank, Madison Gas & Electric, Whyte Hirschboeck Dudek S.C., and the UW-Milwaukee. Tammy Baldwin readily admits she has a soft spot for academic researchers and the federal dollars that often help to support them. Her grandfather was a UW-Madison biochemist who worked at the Institute for Enzyme Research for decades. So it’s no surprise that Wisconsin’s first-term U.S. senator would spend time thinking about how her work on Senate committees dealing with health, education, energy and homeland security might intersect with academic researchers – and the ideas they often bring to the marketplace. What are Milwaukee and Wisconsin doing, not only to avoid the perils that befell the Motor City, but to pave the way for a brighter economic future? As the National Governors Association wraps up its stay in Milwaukee, here are examples of policy and governance success stories to take home. While far from uncontroversial, the mining of "frac sand" in Wisconsin is one example of how the state is capitalizing on the international boom in oil and natural gas exploration — a bonanza that could make the United States a net exporter of oil and gas in time. Wisconsin can show up well in some state-by-state rankings of economic activity and competitiveness – and not so favorably in others. Here are some recent examples. Understanding how to do business overseas was the topic of a July 18 Wisconsin Innovation Network meeting in Milwaukee, where a veteran of more than 25 years of global business development walked through the basics of getting through international doors – and resources that can help while you’re knocking. 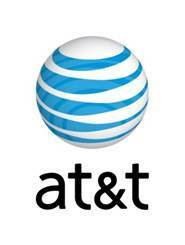 AT&T Corp. says it has acquired 32 cellular towers in its efforts to improve wireless service in northeast Wisconsin, including towers in Brown, Door, Sheboygan, Manitowoc and Kewaunee counties. Baldwin’s bill, the Small Business Innovation Act of 2013, would authorize the federal Small Business Administration to set up a fund for private investors seeking to support early stage business in biotech, clean energy and advanced manufacturing. At long last, the Wisconsin Legislature has enacted a state-leveraged venture capital fund of funds. The $25 million program, which could be up and running by Jan. 1, 2014, and make its first investment sometime next year, will provide venture capital to qualified startup companies in the advanced manufacturing, engineering, agriculture, information technology, and medical-device industries. All of the funds must be invested in Wisconsin-based businesses. After years of development, Engineered Propulsion Systems Inc. of New Richmond will put its upgrade on display when it test flies its new engine in the Mojave Desert this fall, the company said at the EAA AirVenture this week. Educational software company Skyward will build a new headquarters valued at as much as $30 million and create 700 new jobs over the next decade in a project that could pump hundreds of millions of dollars into the local economy. Skyward is a member of the Wisconsin Innovation Network. Stratatech, a Madison company working for more than a decade on skin tissue products to treat severe burns, has signed a contract with a federal agency that could bring the company $47.2 million over the next five years. Milwaukee tech startup, Find My Spot, is a service being provided to hundreds of new educators moving to Milwaukee through the Greater Milwaukee Committee’s new Teachtown MKE initiative. UW-Madison computer science professor Suman Banerjee won "Best App in Show" and "Best Use of Software Defined Networks" at the recent US Ignite Application Summit in Chicago for WiRover. WiRover was also the winner of the 2011 Governor's Business Plan Contest in Wisconsin. WiRover provides high-bandwidth connectivity to moving vehicles, such as ambulances. To learn more, click here. Also, see our Newsroom link for a story about WiRover when it won the BPC in 2011. Asthmapolis, a Madison start-up that recently raised more than $5 million, said it has reached an agreement with Sharp Rees-Stealy Medical Centers in San Diego to use the company's mobile technology to help manage patients with asthma. SnowShoe, which makes hardware for authenticating mobile transactions, is one of five Madison companies that has participated in a TechStar program. Miron Livny, director of core computational technology at the Morgridge Institute for Research and the Wisconsin Institute for Discovery, and a University of Wisconsin–Madison computer sciences professor, has been honored for his groundbreaking contributions to the field with the 2013 High Performance Parallel and Distributed Computing (HPDC) Achievement Award. AquaMost Inc. has named Robert Gaudin to its board of directors. 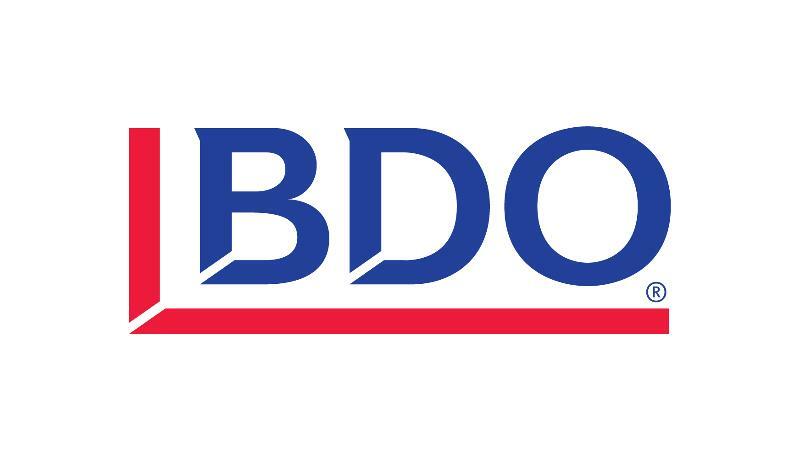 This strategic addition adds to the company’s positioning in the oil and gas industry. Gaudin is the founder and CEO of Holland Services, a complete energy land services company, serving the oil and gas industry for more than 30 years. AquaMost will be a part of a July 23 WIN-Madison meeting at which innovation surrounding the hydraulic fracturing industry will be discussed. Register at www.wisconsintechnologycouncil.com/events. The Wisconsin Economic Development Corporation, in partnership with The Water Council, announced that four freshwater technology startups have been selected to participate in a first-of-its-kind Global Freshwater Seed Accelerator Program. The vacuum-insulated window glass designed by the founder and chief executive officer of V-Glass LLC won the advanced manufacturing category in the 2013 Wisconsin Governor's Business Plan Contest last month. 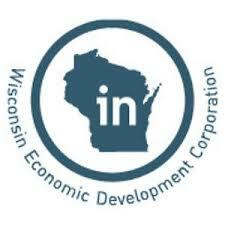 Wisconsin Innovation Network (WIN) is The Tech Council's membership subsidiary - a community-based economic development organization dedicated to fostering innovation and entrepreneurship. In association with the Tech Council, WIN programs focus on the needs and challenges faced by new and growing technology-based businesses in Wisconsin. When you become a WIN member, your membership applies to all chapters, statewide. Membership is for one year starting with the month you join. Go here to learn more about the benefits of a WIN membership. Sponsoring your chapter's next WIN meeting will give you and your company immediate exposure to Wisconsin's best and brightest people. 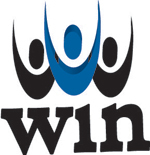 WIN is a network dedicated to giving a voice to the technology community as a whole - from the bottom up! Sponsorship opportunities are available on a monthly or annual basis. Contact Molly Lahr, WIN director, for more information. 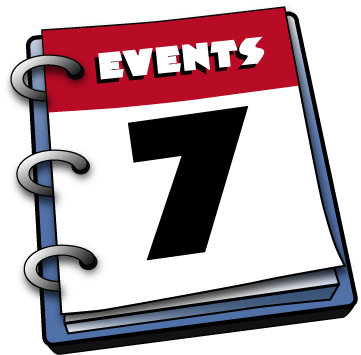 Click here to add your event to the Tech Council Community Events section that is designed to assist in the development, growth and success of science- and technology-based businesses in Wisconsin. The Wisconsin Innovation Network (WIN) eNewsletter is a periodical of news, events and progras about the needs and challenges faced by the new and growing technology-based businesses in Wisconsin. WIN has chapters in western Wisconsin, the Lake Superior region, Madison, Milwaukee,, northeast Wisconsin and central Wisconsin.